Over the years, we’ve developed powerful and long-lasting relationships between our partners, eminent manufacturers of high-end furniture and lighting, and their clients, interior designers and luxury establishments across the globe. The secret to our ongoing success is our ability to focus on the solution and its delivery, regardless of what the problem may be. Let’s be honest, the world of interiors is never problem-free. But, with the right solution, the end results can be simply breath-taking. The MSH Agency standards apply across the board, from guiding interior design brands to our superb portfolio of manufacturers, to liaising with all sides involved throughout the project development and the execution and delivery, where attention to detail is essential. So far, our track record speaks for itself. This is why today we’re proud to present a new case study, starring our luxury outdoor furniture and accessories brand, Seora, and two of the world’s most beautiful and downright fabulous locations: the Nammos Beach Restaurant, a crown jewel of Mykonos, Greece, and the SLS Baha Mar Hotel, in Bahamas. Being able to offer a sumptuous summer with all the high-end amenities and plush pleasures is not an easy feat, but Seora was able to rise to the occasion with some of its most beautiful designs. Both Nammos, Mykonos, and Baha Mar, Bahamas are prime locations, darlings of luxury travel magazines and often recommended as summer’s hot spots. Therefore, their standards have been and will always be of the highest level—from the quality of their design and furniture, to the ambiance they create through lighting and sound, and, of course, the hospitality services. Granted, the venues were already legendary for their delicious foods, buzzing nightlife, sublime beach experience, and their refreshingly brilliant drinks. But it was time to do something more with them, to bring it all to a new and better stage and further define the concept of a luxurious holiday in Mykonos and in the Bahamas. For this, they turned to Seora, a brand which is well-known for its award-winning sculptural beach furniture, gorgeously handcrafted, piece by piece, in Northern Italy. The iconic Seora Lounger made the rounds in the media, in high end residential and hospitality projects all over the world, including Dubai. It became even more famous when Cate Blanchett posed on it for the Silhouette eyewear campaign. Needless to say, it didn’t take long for Seora to expand its horizons and began crafting outdoor and beach furniture elements that bridged the gap between comfort and technology. Building a reputation for exquisite design, high quality materials and craftsmanship, and even higher levels of professionalism, Seora was the obvious solution for Nammos and Baha Mar. Back in 2016, it was time to breathe new life into the world famous Nammos, a prime attraction of the Greek island of Mykonos. Forever sun-kissed and with pale blue waters lapping at its sandy shores, Mykonos is known to be a favourite destination of beachgoers everywhere, including ourselves. Nammos is popular for its sublime taste experiences, combining the eclectic Greek spirit with the freshest treasures of the sea. Where fish is involved, Nammos is definitely the place to go for exquisite dishes and a plethora of flavours that further confirm the standards of this high-end venue. Therefore, the renovation project had to be on par with the restaurant’s superb menu. Conceptualized by its founder, Anthony Logothetis, Seora isn’t just an award-winning outdoor furniture brand with its production based in Italy. It is a statement of style and functionality since it seamlessly blends design and technology to provide more than a simple lounging experience. Combining the smooth and pristine textiles with the magic of the sea and based on solid and innovative structures, Seora’s designs reflected the Nammos ethos and the prestige atmosphere of Mykonos. It worked perfectly for the venue’s owners, and thus the project was pushed forward into production. The proposal included some of Seora’s bestsellers: Riviera sunbeds with Loro Piana fabric upholstery; the gorgeous Oyster side tables with white Carrara marble tops; the beautiful Amalfi storage boxes for the main beach. 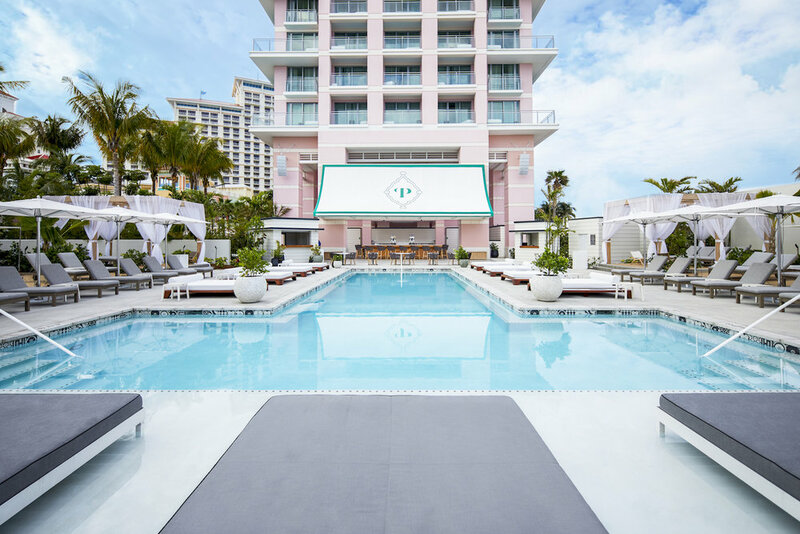 It also featured the uber-stylish Tuuci parasols with custom turquoise striped Sunbrella canopies, elegant Alessi champagne ice buckets and branded Designers Guild beach towels for a complete experience. Seora also completed four private cabanas as a part of luxury experience offered by Nammos where they supplied Belvedere daybeds, fitted with solar panels, Azure deck chairs, and Portofino stools. Seora’s brilliant lead times and incorporation made all the difference. On top of that and because of their artistic quality and premium materials, the sunbeds and the side tables, in particular, laid the foundations of Nammos’s superior comfort and dedication to a lavish lifestyle. 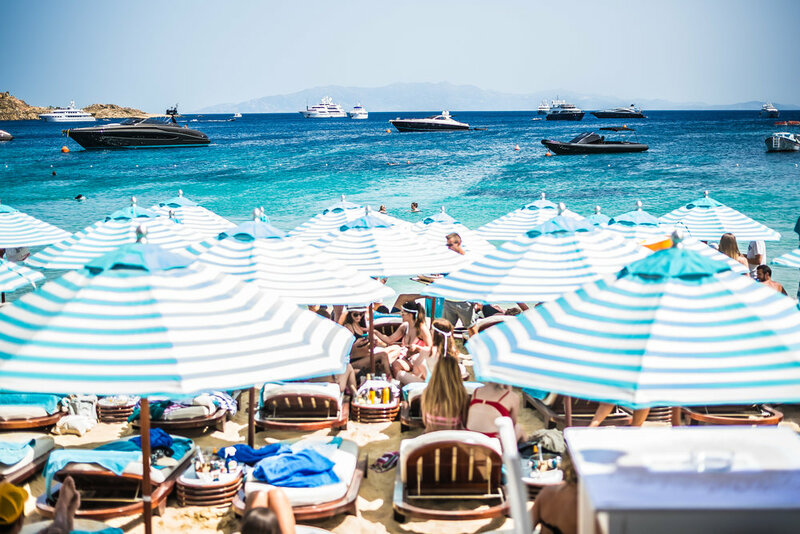 The rest were just brilliant details that breathed new life into Nammos, until Conde Nast Traveller Magazine named it the best beach club in the world. The design team selected to revamp the palatial SLS Baha Mar had their work cut out for them. The five-star hotel made a name for itself by combining its luxury experience with elements of creativity and community, turning it into an irresistible Bahamian retreat that connected the more discerning global traveller to the local spirit. With two-hundred-and-ninety-nine rooms, classy décor and a vibrant dining and nightlife portfolio, the SLS Baha Mar needed only the most beautiful and stylish furniture for their exclusive Privilege Pool. Enter Seora at this point, with the Grand Belvedere Daybeds and Cabanas, upholstered in remarkable Loro Piana outdoor fabric. The furniture set completed the Privilege Pool’s astonishing look, drawing the admiration of every single client as it reinforced the SLS Baha Mar’s reputation as the perfect Bahamian slice of tropical paradise. The best part of the Seora daybed, according to the hotel’s designers and most of the brand’s clients, for that matter, is the technology—smartly integrated into its design without disrupting its structural flow or aesthetic. With this nifty feature, the Seora daybed became a pioneer in the world of exterior design. We worked tirelessly with Seora to meet the clients’ budgets and lead times, even where bespoke modifications were involved. As their representatives, we’re thrilled to say that both projects were a resounding success, as Seora created and delivered magnificent beach designs to two of the world’s most precious and luxurious locations. Like we’ve said many times before, a happy client makes a happy designer, and a happy designer is the basis of our professional standards. In this case, expectations were even exceeded, as evidenced by the new looks of Nammos and SLS Baha Mar’s Privilege Pool. To find out more about our brands, click here. If you have a challenging interior design project and think we can help with tight deadlines and bespoke lighting and furniture from our brand portfolio, please do get in touch.